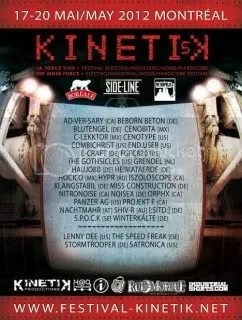 We are very excited to announce you all that we’ve been confirmed has a part of the 2012 kinetik festival lineup! We will be playing with bands such as Combichrist during the Phase 1 night of the festival. The show will take place at the Metropolis on May 17th. Tickets info coming soon!